Npower has reported a 38 per cent drop in profits for the first half of 2014. The big six energy company saw its profits, before tax and debt interest payments, drop to £109 million - from £176 million in the first half of last year. The rising cost of the government's energy efficiency scheme and increasing the amount of money spent on customer service, are thought to be behind the fall in profits. The supplier has also revealed it invested £20 million to improve its customer service. It has topped the complaints table every quarter since 2012's end. Poor customer service and late billing issues have reportedly led the energy company to lose 62,000 domestic customers in the first half of this year. nPower received more than 120,000 complaints in July alone. 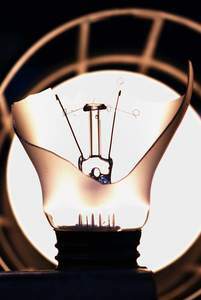 The majority of the complaints were related to a problem with nPower's computer system, which led to bills being issued late. The German-owned company has until the end of August (2014) to resolve this problem or it will be forced to halt all telephone sales calls to prospective customers. The energy company must ensure the amount of late invoices sent is no more than 100,000 by the end of thie month. In mid-June, this figure was more than 400,000 but it was reduced to 193,000 by the end of July.